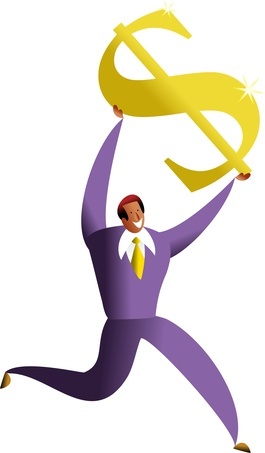 Leaders often have a great fondness for discretionary rewards, particularly in bonus and incentive plans. And why not? Discretionary rewards keep all the power and control with them. Wild card in hand, they are free until the moment the reward decision is made to do whatever feels right, based on their personal judgment call. Too much control in management’s hands? But discretionary rewards have their pros and cons, and the flip side of putting all the power and control in the manager’s hand is that none of it is left with the employee. In an age where employers are increasingly seeking (and needing) an enabled and engaged workforce, this is an act of disempowerment. In his book Motivating and Rewarding Employees, author Alexander Hiam uses a simple story to illustrate this problem. Imagine you are coaching a very strange basketball team. It plays in a league where there are no scoreboards, and nobody is allowed to tell players what the score is. Instead, the officials keep a private tally and announce the winner at the end. As Hiam notes, it’s really a stupid example because nobody would be willing to play under those conditions. Yet when organizations create bonus plans (particularly when they put increasing amounts of total employee cash at risk with these plans) and make award decisions completely subject to management discretion, isn’t that what they’re doing? Jerry McAdams, consultant and author of a number of books including The Reward Plan Advantage, refers to these plans as variable entitlements — highly valued, generally misunderstood, reinforcing to those who get them and resented by those who don’t. Is there a place for discretion in rewards? Absolutely. But it should be thoughtfully considered and crafted, explicitly communicated and it might be best reserved to address the exceptions — the circumstances which are unmistakenly beyond the control and abilities of program participants. Total discretion in rewards suggests that everything is out of their control and ability — a message of complete disempowerment. Is that the way your reward dollars should be spent? This was originally published at the Compensation Café blog, where you can find a daily dose of caffeinated conversation on everything compensation.